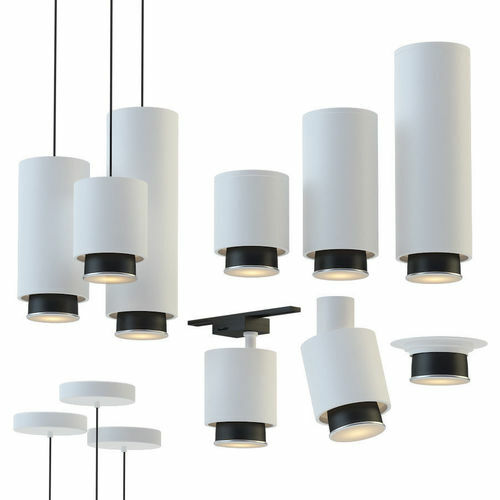 The pendant lamp Claque is available in three different sizes. The lamp is in white painted aluminium, whereas the diffusing lens is black. The light source is LED and thanks to the shape of the lamp it is suitable for spaces that require a direct and precise lighting. The design is simple and modern.